Been a while since the last post (as usual it seems lol), so hello everyone if anyone still reads this blog! Now you may probably wonder what is a Headphone review doing on this website especially with a description like “Anime, Figurines, Gaming, and Otaku’ism” right? Well if you’re familiar with anime shows/movies, you will probably notice that the opening or ending of every episode or movie, there will always be an opening or ending theme song playing. 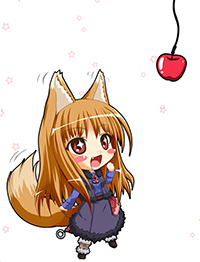 Yes, Anime song – short “anisong” is rapidly gaining popularity everywhere around the world and that is what I’ve been listening to for my music ever since i have left the English music scene somewhere around the year 2004/2005. I can go on for a while on the comparisons between the 2 music scenes, reasons of why i made the switch and so forth, however that’s not why i am writing this post. This post will be all about the Audio Technica ATH-AD900 review, so lets get on with it shall we? First off, i personally find it very hard to have an idea on what i should be writing. I mean, how does one write something that cannot be written? How does one even accurately describe music reproduction? It is already a very subjective subject to every individual, and to even write something off it, i honestly find it to be a waste of time. Then again, this particular headphone just have this “something” that makes every anisong that i listen to feels so lively, so emotional, the energy that the song carries, are being expressed so accurately through the headphones. I just had the strong urge to write up a review for it, something that will do it just despite it is clearly something that is beyond my capabilities. I don’t see myself being an exceptional writer, much less writing something that i barely have a clue of, so what i did was i read up some headphone review and forum posts, and use them as my reference in writing up this review. You may find some direct quotes along the way as they have put it best on describing the AD900 which i find it as good as it gets and instead of wasting my time to try and improve it, i might as well just directly quote them. Anyways, i have always been an audiophile (do visit the wiki page for its definition if you’re unfamiliar with the term “audiophile”) myself for quite some time having invested quite a lot for my car audio, and even my 5.1 sound system for my PC. That said, i was never a huge fan for earphones/Headphones even having a Koss KSC-75 clip on earphone. It was 2 months back, during my birthday Singapore trip in March, where i was recommended by my friend Sichiri to visit a shop called “Jaben” which is an audio shop that is specialized in earphones/Headphones mainly, along with other audio equipments such as amplifiers. See, the main thing that separates Jaben and other audio shops is that they allow to audition almost every headphone/amplifiers available to them even to the highest top of the line headphones so long it is available during that time. That is very important as you just simply cannot tell how well a headphone may sound to you regardless of how well/accurate a review may be. After all, music is a very subjective and personal thing. During my visit, i have spent several hours trying out different headphones as recommended by Sichiri since he is much more versed in ear/headphones compared to i am. 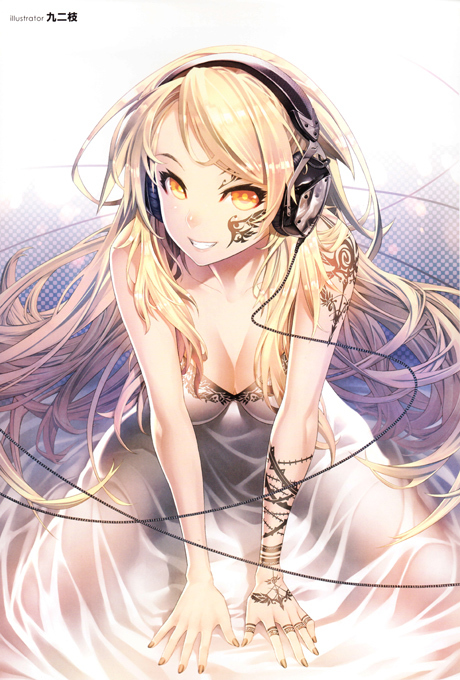 The headphones i’ve tried out are: Beyerdynamic’s DT231 and DT880, AKG’s k702, Sennheiser’s HD598 with the 2 songs “Joint” by Kawada Mami and “Perfect world” by Rocky Chack as those are the only 2 songs from my HTC Desire phone. 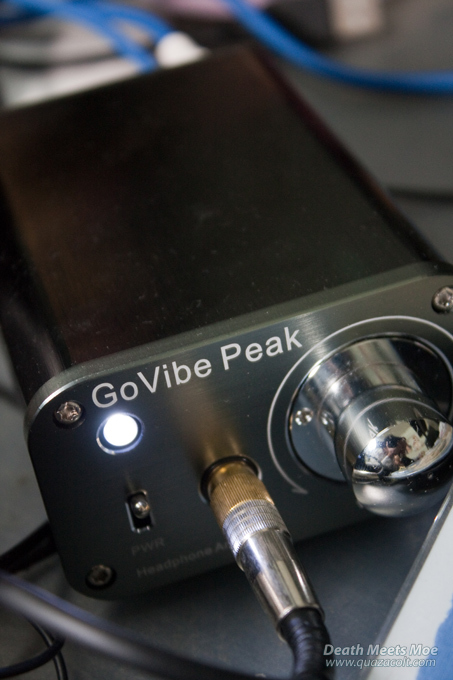 All of the mentioned headphones are also driven by the GoVibe Peak amplifier. All of the headphones are just lacking that something that makes me find it reluctant to stretch my initial budget of MYR500, or just simply aren’t worth it for me (DT 231 for example) to even considering the purchase after hearing what mid-high end headphones can do. It was just when we were just about to call it quits, i remembered another friend of mine Sora that mentioned his friend having an Audio Technica AD700 headphones. The first thing that came to my mind was that i remember Audio Technica is a Japanese headphone maker, so leave it up to the Japanese to make their own music sound good, right? 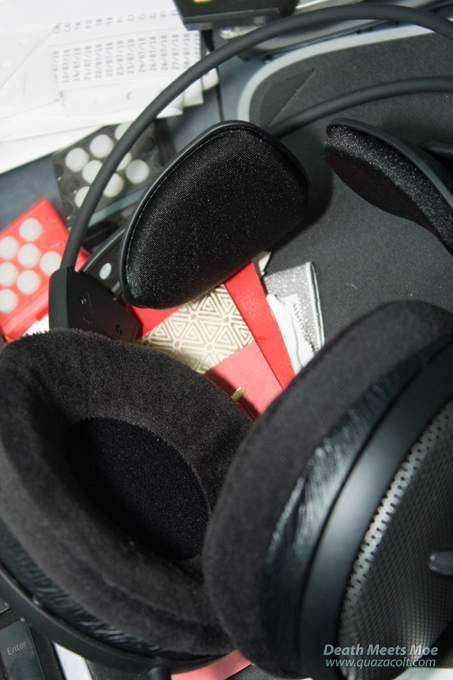 After all, we’re already in Jaben, no harm to spend some more time to try out as many headphones as we can. 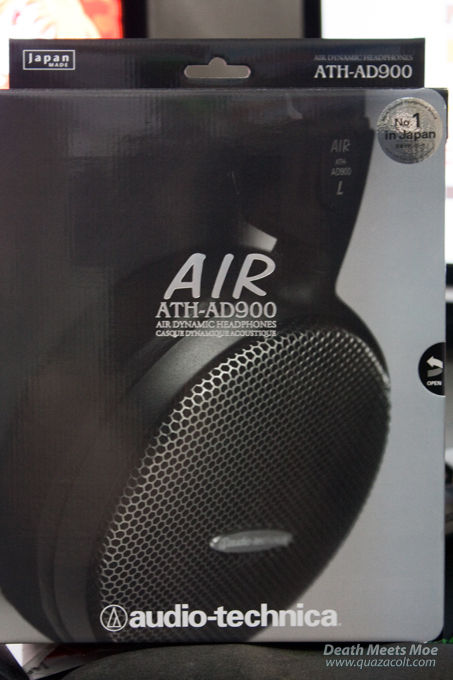 Initially we took a look at the AD700 since that’s what i remembered, however it had this really ugly purplish color which i am not fond of, so i moved up to the AD900, which is in a standard black/silver color. And boy did i found just the perfect headphone, call it love at first sight if you may, it is the only headphone in Jaben which driven me to push it harder on the volume knob of the GoVibe peak amp to the point where i reached ear fatigue for going too loud on the volume. The folks at jaben even recommended me to try out the AD1000, however the difference wasn’t significant compared to the additional money i have to fork out. Ultimately i have chosen the AD900 despite having a lesser package deal compared to the Beyerdynamics’s DT880 package deal. I guess if you really like something, money just comes second. The package i had gotten was for SGD538, i get the Audio Technica ATH-AD900, a CrossRoads Headphone stand, the GoVibe Peak amplifier, and the Hippo headphones hard case. On a first glance, the packaging does look really sleek and refined, with some Velcro spots underneath the front cover that allows you to open the said cover and that reveals a see through plastic surface which allow you to get a good look at the headphone inside that is placed firmly on a fitting plastic headphone stand. Included with it is also a 3.5mm to 6.5mm adaptor that should be a standard for mid/high end headphones. The amplifier that was included along with the bundle is the GoVibe Peak amplifier, and i think its a pretty decent amp for its price. While it can be a little lacking on the bass gain control, especially in driving something like the AKG’s k701/k702, it does a good job for almost everything else like the ATH-AD900, and more especially the Beyerdynamic’s DT880. (which has a damn irresistible bundle with the GoVibe Peak) Not that i have much knowledge in desktop amplifiers, this is what i got to try out with at Jaben’s, and i am satisfied enough with it for what it’s worth. Not much that i can say about these stands since they come for free. They do look really damn good for the silver color (which is the one i gotten) and should fit for most headphones. The only main downside for these is that your headphone pads will get pressed on the stand cylinder itself and that could potentially damage your headphone’s pads in the long run, or at the very least leave a 2 line marking which i am sure most would prefer not to have. 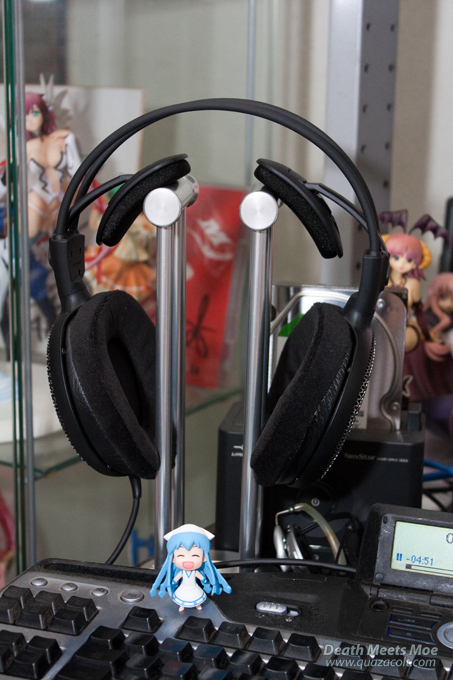 This is how i setup my AD900 Headphone, which you can see there are quite a number of figures in the background and even little mini ika musume on the keyboard. If you’re interested to see how my room is like, feel free to check out my previous room post here. 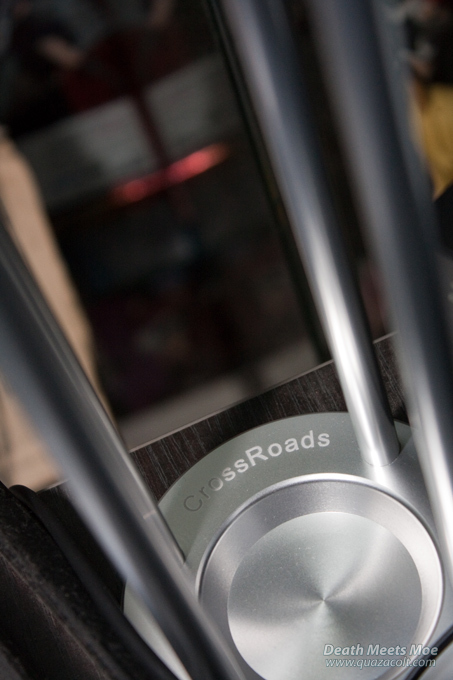 And from that picture, you can already see how the AD900’s ear pads are pressing against the Crossroads stand. Now after all the tldr, (“too long didn’t read” lol) it’s time to really start off for the review. The setup i am using for this review are: Winamp 5.572 32bit -> Creative X-Fi Titanium -> Creative Gigaworks G500’s remote headphone jack (for ease of plugging in/out) -> GoVibe Peak Amplifier -> Audio Technica ATH-AD900. The music source are generally FLAC (free loss-less audio codec), or 320kbit MP3 files. Starting with the bass, i personally think the AD900 bass may be a little bit lacking, especially if you compare directly to the Beyerdynamic’s DT880, or even the sennheiser’s hd598 where by the DT880 have a little more depth in terms of how low the bass can reach, while the hd598 tends to give out a much more solid bass probably due to its already standard warm signature. This however is by no means saying that the bass of the AD900 is weak, as it is capable of delivering the needed bass especially in upbeat songs, and i think it really excels if the bass that is required isn’t low/hard boomy ones, and rather those punchy tight/fast bass. On tracks like “Joint” where the drum beats tends to be really fast, that is where the AD900 really shined as it kept in pace on the beats without showing any signs of an inaccurate, slowed or bloated bass. Vocals for the AD900 are very clear and natural, and sort of have that very lively feeling. Everything can be heard clearly without it being too harsh or too direct “in your face” sorta deal. While it may not excel as well as other headphones like the AKG’s K702 if the vocals go into high notes, I still think that it is adequate enough for majority of the songs i listen, and most importantly it feels lively to me, and i can feel that energy and emotion that the singer is trying to express, something which i cannot seem to find in the other headphones i tested with. On the instruments, the snare drums/toms are really precise and punchy, and they aren’t too direct like some headphones would, rather it has a bit of a distance before reaching you, sort of like a sweet spot in the cinema where you’re somewhere around the middle seats, not too close or too far from the screen, just perfect. Electric guitar riffs are also very dynamic and gives off that really exhilarating feel especially the really fast ones, as if a jolt of electricity coursing through your body, starting from your head. From the top of my head i could think of a recent song called “Shinsou” from Imai Asami from the game blazblue, the electric guitar solo, absolutely thrilling. The first thing when i think about the high frequencies, are acoustic guitars. While it may not be as good as the AKG k701/k702 where its highs are highly praised for, it has this, how should you call it, sparkle? snap? that really sets it apart from the rest. While i am writing this part, Avril Lavingne’s Complicated came up, and that is exactly i am trying to write – the acoustic guitar part! Every pluck of the guitar string resonates so splendidly, without cutting off at all, having that extra “sparkling” touch. While in some cases it may seem a bit bright to some people, it is by no means harsh at all, at least to me anyways. Even on tracks that is a little bit fast with heavy acoustic guitar emphasis, having the strings resonating so clearly, it is as if you can envision a guitar playing right in front of you if you close your eyes. Violin strokes or riffs doesn’t cut out on the really high notes, while at the same time maintaining itself from being too harsh. Tracks from the OST of “Mahou Tsukai ni Taisetsu na Koto Natsu no Sora” have a lot of emphasis on acoustic guitars and violins, though sadly i cannot find any direct YouTube links to share ^^; Cymbals and hi-hats also have that gentle and soft sizzle, while at the same time being very audible and clear, which makes it very pleasant to hear. Which is very emphasized in the track “Answering song by girl dead monster“. Lets not forget the ever so popular piano/keyboard, on tracks like “Kimi no Shiranai Monogatari by Supercell” or “Love grows (final fantasy 8) by Nobuo Uematsu“, each keys being struck, resonates very clearly throughout the track, and again, that same sparkle that came with the guitar strings can be subtly felt on the piano keys as well, which i think makes it feels really dynamic even for a classical instrument such as the piano. On rock music, it gives an impression that you’re actually in the concert itself, listening to the music live, while acoustic/instrumental music will give off that feel that you’re in a huge open orchestra/concert hall, listening to the live performance. For the more classical/sentimental music, it really gives of that peace of mind that it’s as if you’re on an open field, or as mentioned before, on top of a hill, enjoying the music with a slight breeze of air flowing through. As for instrument separation, i think headphones like the AKG k701 would perform better, however, the AD900 comes really close behind it, especially if you compare between the 2 on the mid-range, i would even say that the AD900 would perform better on the instrument separation, as the different details of every instrument is being reproduced without fail. With more complex and well recorded tracks, especially the more upbeat ones or even digitally produced music, the AD900 will excel more on its instrument separation, from having all the dynamics being played out, and even more so the direction of singers, where the instrument is playing from. Modern digital tracks that utilizes the stereo/surround features will be played by the AD900 very well, having the sound direction going on back and forth/left to right and vice versa without any sense of the sound being cut off half way. Over all i am liking the design with its Black/silver finish and most especially that light-weight aluminium honeycomb casing that is somewhat unique to the Audio Technica Air-Dynamic series. 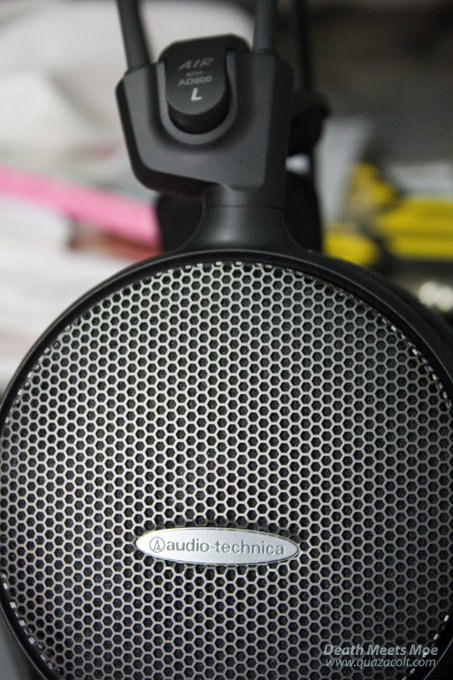 Looks really sleek with the honeycomb casing and that chrome ish Audio-Technica name plating. The wing system that is very unique to the Audio-Technica line up of headphones is also very appealing as it gives of that really futuristic design/looks/feel. While i personally don’t encourage going portable with these cans, if for whatever reason you have to, they would seem like a decent fashion companion. The quality of the entire headphone structure also look/feel very solid while being lightweight at the same time. The cable itself is also worth mentioning, being covered in a rubberized material, it seems rather thick and looks like it’s be able to withstand some accidental roll overs (like from your swivel chair for example). The thickness of the cable along with its rubberized property also makes it really hard to get entangled, and that is a something good to have for a 3 meter long headphone cable. The most distinct features of the AD900 headphones (or audio-technica headphones in general) are the self-fitting Wing system Headbands. Unlike most headphone having a full sized headband covering over or back of the head, the self-fitting wing system having very minimal contact to your head, it gives off very minimal pressure to the scalp, resulting in a very comfortable fit while maintaining a decent grip onto the head. That said, this may prove to be a problem for smaller sized heads as your head is required to press against the wings’ pads and for smaller heads, that may not be the case and may have very loose fitting for the headphones. Another thing to note on the wing system is that it doesn’t have any clamping issues at all. (or on your hairs for that matter) And if you have any itching on your head, with the minimal contact on your head, reaching around for a scratch is very easy, even if it is on the spot of the wing itself, gently lifting the wing for a scratch isn’t hard either, and all that while the headphones are still on your head and you enjoying your music. The large velour pads fits gently on my head softly and of course, no clamping at all while still maintaining a good grip on the ears/head. One thing about the pads are that while they are really soft and comfortable, it does result the drivers to be pressed against the ear and it can be uncomfortable to some. Typically minor repositioning of the headphone itself should solve this issue, and overall it doesn’t feel hot/stuffy on the ears like other headphones or most closed back headphones generally would cause. Now, while i was testing it at jaben Singapore, the shop was air conditioned and i didn’t exactly get to wear the headphone for really extended periods like say, 3 or more hours. It was the most comfortable headphone I’ve ever tried on during the testing, however when i have it back home, where my room is somewhat warm/hot at times, and myself sweating very easily and more oftentimes sweat a lot, the ear-pads does poses a huge problem: sweat stagnating within the earpads as it does soak up quite a bit. This results in a lot of discomfort and i have to frequently lift up a side of the cans whichever side is having discomfort, wiping of the sweat, which is a huge turn off especially when you are on your favorite track. There is a good solution to this which i will further elaborate on a later post. Overall i find this headphone to be very detailed, with good emphasis on the mids-highs that can even rival more expensive headphones such as the AKG’s k701. The lows and bass on the other hand could use a little improvement, however it shouldn’t be a problem to most people that aren’t bass heads. While it isn’t a completely neutral headphone with a slight hint of warmth in the sound signature, it has this really “sparkling”/”snappy” touch that makes music sound really lively. The airy sound stage is also a plus to those that likes it, not to mention the really engaging sound stage/instrument separation that does not causes listening fatigue. Amongst the best headphones one can get for the price range, and they are fantastic for almost every genre, namely anisong for example where it can vary from slow to fast paced music, classical/sentimental to modern/digital/rock. I would highly recommend these headphones to anyone who has a varied music taste (or anisong! :D) looking for the best bang for their buck. Wow! hare is best audio system for music songs. Nice sharing include everything to need about this. Supper ! Really i like it. Very nice this post. Thanks for sharing this post. Shallow mount subwoofer is the best for car audio sound system, these subwoofer represents a rock star sound quality with extra max powerful bass as results heart-touching presentations. I think that, not need to say about subwoofer more, that is unbelievable includes.